Chile and Ethiopia plays an asymmetric historical similarity in political development since mid 1970’s. 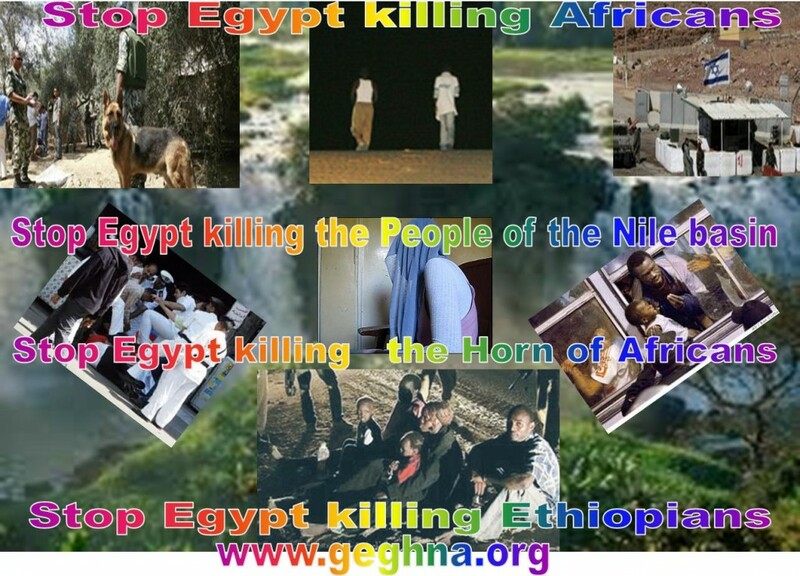 The environmentally suppressed Ethiopians are pacified to accept without opposition the “Nile & Gibe Death Dams”. 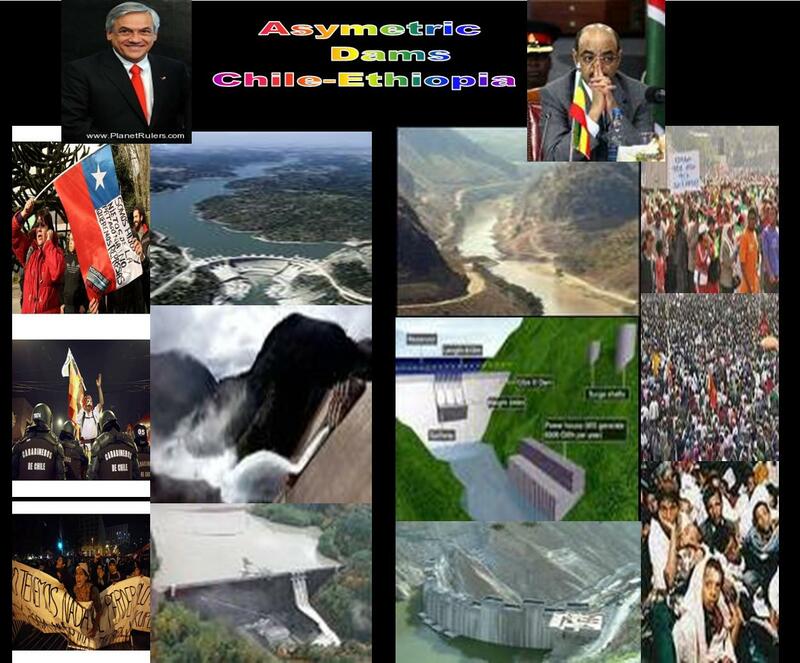 In contrast the democratic civil society of Chile that vividly revolted the construction of serious of dams in the Andes valley Ethiopia accepted docilely. Chile successfully toppled the dictator Augusto Pinochet and reestablished the democratic state of Chile in 1990. One year after the end of Chilean dictatorial regime the Ethiopian dictator Mengistu Haile Mariam collapsed with the rest of the ex Soviet satellite sates. He was replaced by an irredentist dictatorial ethnic regime of Melese Zenawie. In Latin American Chile is a country where the basis of democracy and economic development is well established by successfully replacing the military junta lead by generals who toppled the democratically elected government of Salvador Allende. It was only 1974, after 3000 years that the people of Ethiopia engaged in a people’s revolution that removed the imperial regime of the Negus, while Chile was taken over by a dictatorial regime of Augusto Pinochet. 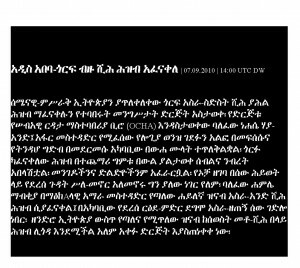 It seems both countries went in different dimension – when Ethiopia goes on the wrong direction Chile seems doing better by going on the right track or vise versa. Now Chile is on the right track while Ethiopia is lamenting in famine and irredentism risking balkanization. In sum total Chile seems luckier in her social change than that of Ethiopia. 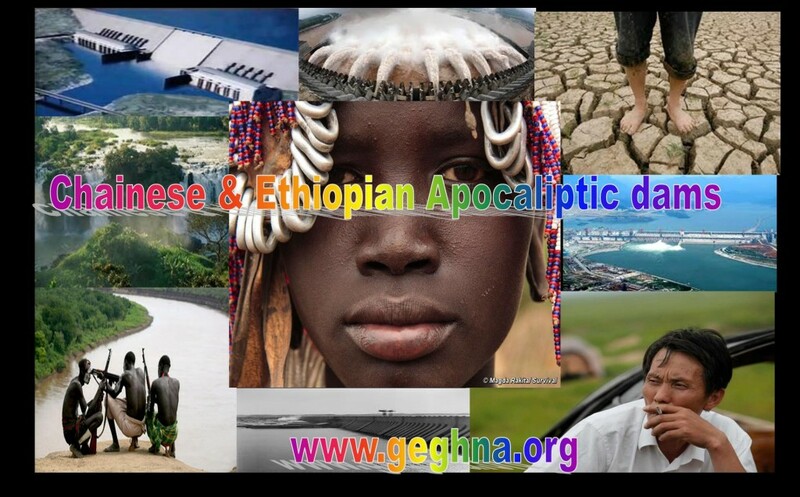 Thus Chronology of Asymmetric dates between Chile and Ethiopia in social development. Thousands of Chileans took to the streets of the capital, Santiago, against the planned construction of a hydroelectric dam in Patagonia. The Chilean dam e protest was mostly peaceful but ended in clashes with police that left several people arrested. Hydro Aysén project includes Endesa Chile and Colbún-plans to build five power plants in the Chilean Patagonia. Critics say they have a disastrous effect on the environment and the destruction of 6,000 hectares of forest. The Ethiopian Pinochet Melee Zenawie lunched a Millennium Hydropower plant, the biggest hydropower plant in Africa yet. The dam, which will be constructed on Nile River some 40Km from the Sudanese boarder, is expected to be completed in four years time. The Grand Millennium Dam will be the largest artificial lake with a capacity of holding 63 billion cubic meter of water, twice the size of the largest natural lake in the country – Lake Tana. 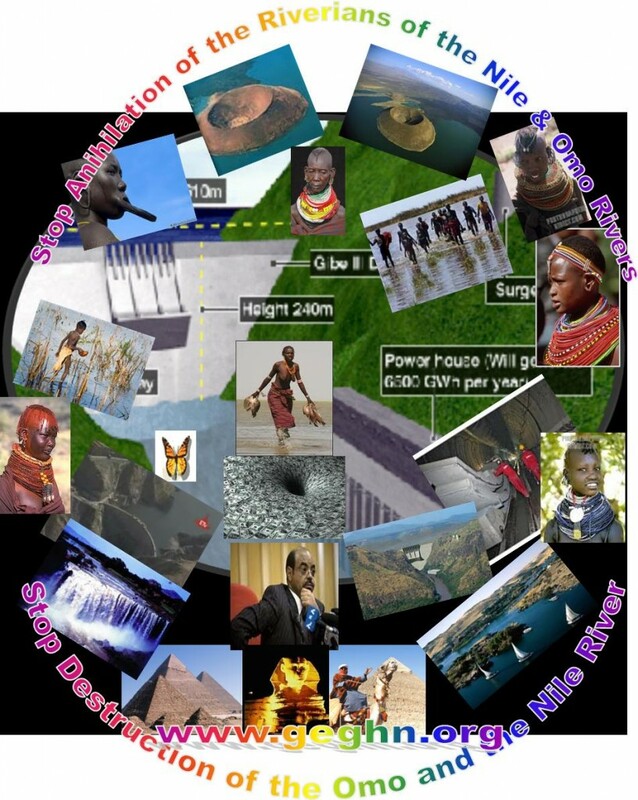 By the time the death dam will be filled with water the Nile will not be following to down river basin countries like Sudan and Egypt. Egypt depends solely for her water from the Nile waters. Such drastic move will drain the Lake Tana the artificial lake and dry the Nile definitively. Chilean People Protest Against the Building of a Dam in Southern Chile. The Kenyans are learning from the spirit of Chileans recent uprising in Andes region to stop the construction of Mega dams are now preparing to fight the Ethiopian mad dictator and their rulers from drying out Lake Turkana and exterminating the riparian Omotic population. The Gibe dams on Omo River have a direct responsibility for the drought and the conflict in the Lake Turkana region between the tribes men in the region recently. Since the 2006 the date the Dams start taking direct effect the region which is deprived of its annual water flow and precipitation. Drought and grazing land conflict has become a daily phenomenon due to the artificial control of the river Omo and luck of sufficient resources which used to depend entire on the river. 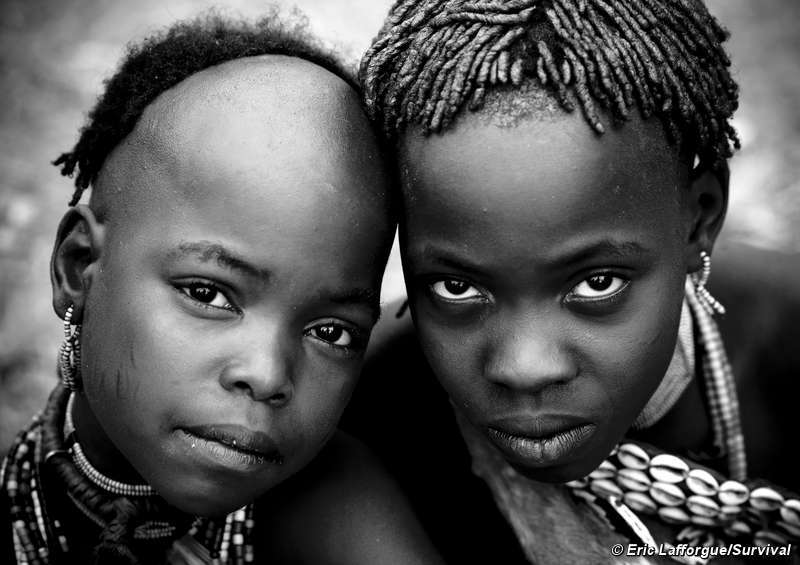 The Omotic population has lost its natural cycle of gazing their herds. 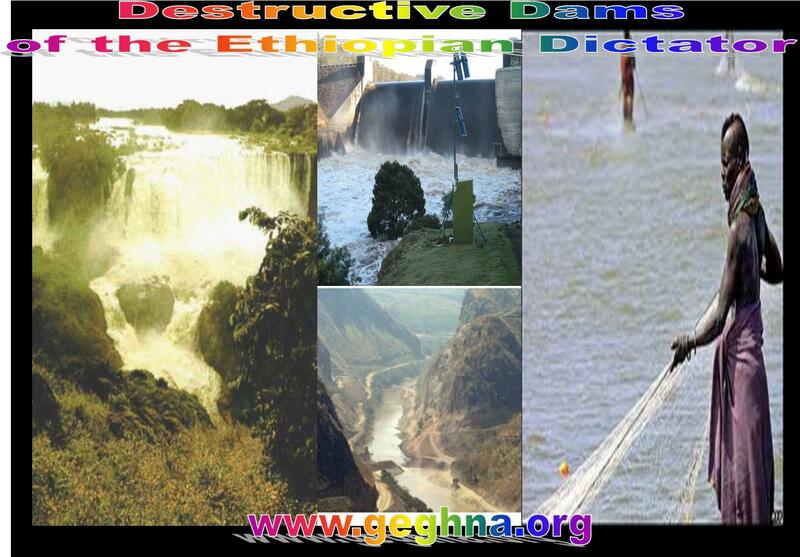 Now the cyclic floods in the region have been stopped by the Ethiopian dictator Megalomaniac dams. Another destructive controversial project project has been prepared to be building on the Nile which will cease the cyclic flooding of the Nile in Egypt too. 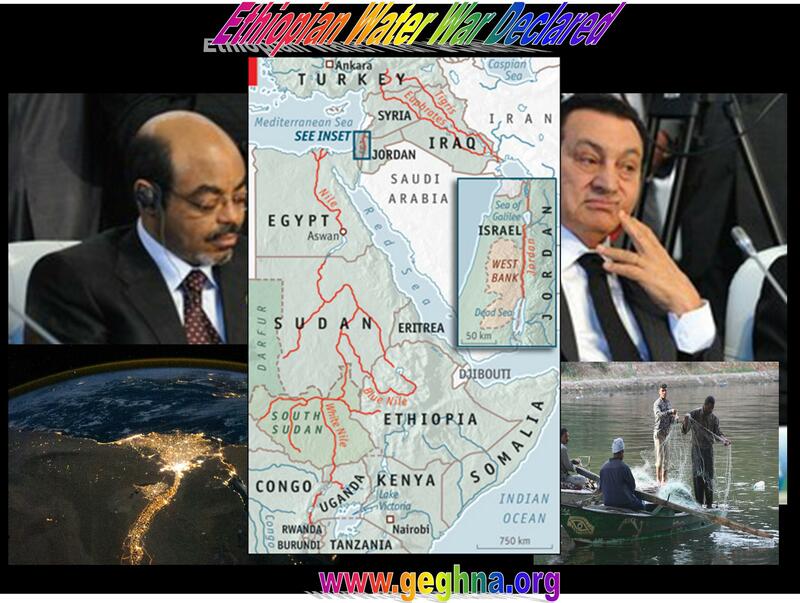 The Water dictator must be stop before he killed millions around the Horn of Africa by undo control of the rare floods. The true leaders of democratically elected northern Kenya MPs have vowed to stop the construction of Gibe III hydroelectric power in Ethiopia. Joseph Lekuton(Laisamis) Ekwee Ethuro(Turkana Central), Chachu Ganya (North Horr) and Gatanga MP Peter Kenneth called on the people of Loiyangalani to back their protests to stop Ethiopia’s power plans. “The contract signed between the Kenyan and Ethiopia government to supply us with electricity should be revoked. People are dying due to lack of resources provided by the waters of Lake Turkana,” Lekuton said.”There is enough wind and solar that can generate electricity for the Turkana people. We do not need to sign a contract with our neighbor so that they can supply us with electricity while we are capable of generating our own,” he added. 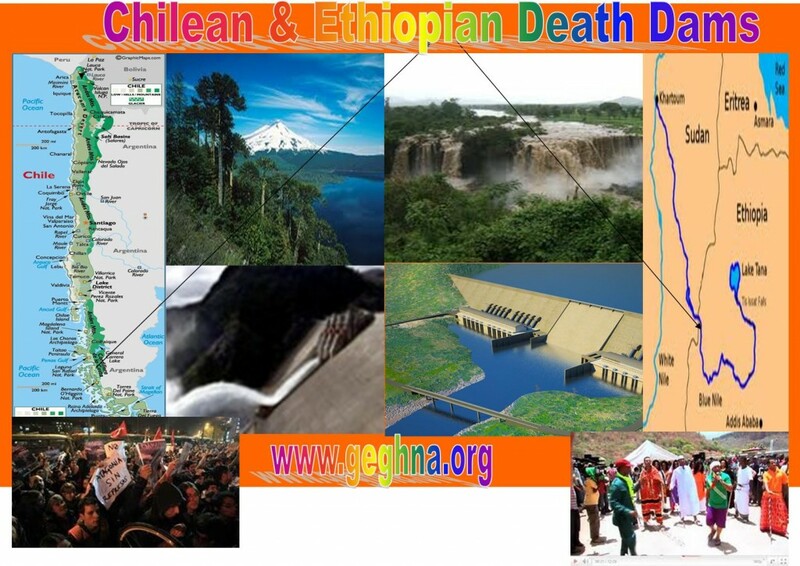 Ganya said: “Gibe dam will be fought to the end” Ethiopia too must use wind, solar and thermal energy than damming the rivers and kill starve million in riparian countries. We have seen recently the conflict has already sparked in northern Kenya as direct effect of the Damming in Ethiopia. Gibe III is in its final construction stages though it was stopped by the recent collapse of the 26 meter tunnel built in the fault seismic tectonic lines . Gibe III is the last generation of hydroelectric power on the Omo River in Ethiopia which will dry up Lake Turkana for good. Since Omo River drains its waters into Lake Turkana, the biggest desert lake in the world. 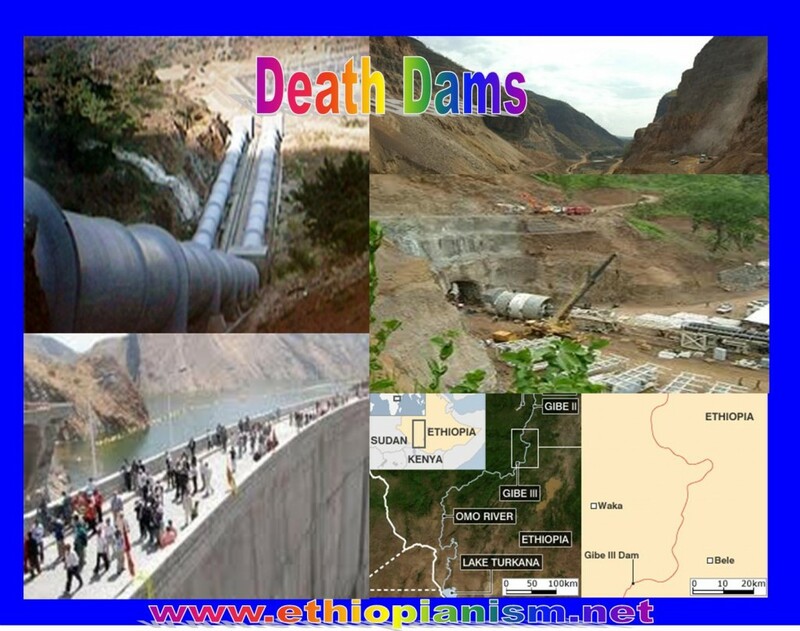 This death dam once completed it would be the largest hydroelectric plant in Africa with a power output of about 1870 Megawatts which has no immediate utility in Ethiopia except exporting it to Kenya with a direct quenceqence eradicating its population in Lake Turkana. As of July 2010, the project was 38% complete drastically stopped due to the tunnel collapse. The completion of the Gibe II Death Dam was scheduled for July 2013. Full commissioning is scheduled for June 2013 after the reservoir is filled with water and the plant completed. Local and international environmentalists have raised concerns over the negative social and economic impacts of the dam. Ethiopia’s plan to build Gibe III Dam now threatens food security and local economies that support more than half a million people in southwest Ethiopia and along the shores of Lake Turkana. Turkana South MP Josephat Nanok urged locals to “choose the right leaders” especially after the recent attack of Turkana people in Todonyang at the Kenyan- Ethiopian border. The MPs made their plans known at the fourth Lake Turkana festival at Loiyangalani at the weekend. More than 1,000 pupils in Marsabit North district might not report to school for the first term since their parents have migrated to Ethiopia in search of pasture for livestock. 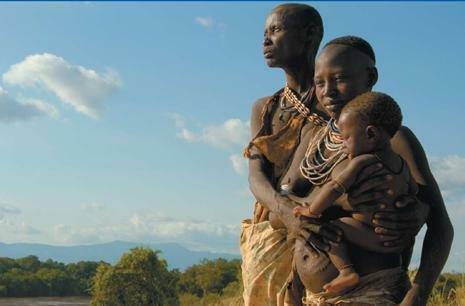 The drought is caoused by the diminishing Omo river used in Ethiopia for three Mega dams. Regional annual rain has fallen dramatically as a direct consequence of Ethiopian dams. In Marsabit North, more than 1,000 pupils may not report to school for first term as their parents have migrated to Ethiopia in search of pasture for livestock. Among the affected schools are Balesa and Turbi, which might lose 380 and 290 children if the situation does not change, said district education officer Simon Kimani. Others affected by the ravaging drought are El Adi, Gawole and Forole primary schools. 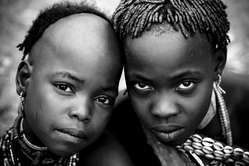 They have pupil population of 170, 136 and 140 respectively. In the semi-arid Mwea division, more than 60,000 people face starvation due to crop failure due to diminishing seasonal floods. Maize and beans, which constitute the area’s staple food, have dried up due to the failure of the short rains. Most affected areas are South-Ngariama, Murinduko, Kanjinji, Kiumbu, Marurumo, Ndindiruku and Rukanga. In Baringo, Mr Kamama said that the hot weather had already wiped out pasture and the villagers could lose their livestock, which is their main source of livelihood. Speaking in Nakuru, he said almost all water sources had dried up in the affected areas and that the situation could get worse in the coming months. Last week the grave situation in Marsabit where two people died because of hunger. Hundreds of animals have reportedly died. Pastoralists in the area have shifted to Merti district while others have crossed into southern Ethiopia with their livestock as drought ravages the region. The worst hit schools include Balesa with 380 pupils who might not return to school this year while Turbi primary school has 290 children staying away from school if intervention measures are not put in place, according to area District Education Officer Mr Simon Kimani. Other centres affected by the ravaging drought are El Adi, Gawole and Forole primary schools with a pupil population of 170, 136 and 140 respectively. Balesa and El Adi primary schools have boarding facilities where children from pastoralist parents can get a reprieve but acute water shortage in the region will prevent normal school opening from taking place. The boarding facilities at the two schools are paid for by church organisations but they could not sponsor the fuelling of water tankers because of the distance involved. Sponsoring organisations of Balesa and El-Adi boarding facilities could not incur watering expense since the nearest water point is 98 kilometres away across the desert in Horr town. Parents have shifted together with their children in search of water for livestock during the December holidays and they might not return quickly for opening of schools, if at all they return. Pastoralization in the area have shifted to Merti district while others have crossed into southern Ethiopia with their livestock as drought ravages the region. Many animals have died from lack of water and pasture in the area. As drought continues, an upsurge of pupils flocking to stable schools such as Maikona and Horr primary schools which have boarding facilities fully sponsored by the Catholic Church are anticipated but Education officials fear such eventuality might affect provision of quality education due to high number of pupils in classrooms. Pupils from other schools which could not open due to water shortage will enrol for first term this year at either Maikona or Horr Primary but that will strain the school resources and quality of education will drop, since they are turning to nomadic lives . A local leader Mr Barile Abduba said some parents withdrew their children from school on suspicion that school feeding programme was not in place but the area DEO assured them that food rations have been dispatched to all schools in the district, though schools could not prepare meals for children due acute water shortage. The Government did not intervene by supplying water to schools to enable smooth operation of education institutions. This raised doubts over the success of free primary education in far flung areas if supporting facilities are not provided by the Government. 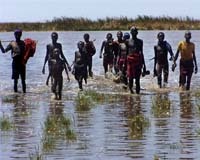 Since the Kenyan government is working with the Ethiopian regime for this Death Dam projects by stopping the annual flooding in the Turkana area which brings humidity and rain in the region. The only solution will be to stop damming in Ethiopia to assure the annual rain and precipitation and humidity level in the whole region of the rift valley.